Welcome to Green Valley Farm where Huff's draft mules and mammoth jackstock are bred and raised. Welcome to Green Valley Farm where Huff's draft mules and mammoth jackstock are bred and raised. Please explore our website to see what we have to offer and check back often to see any potential updates. We hope you will enjoy your time spent with us. Jacks, jennets, mules, and draft horses have been bred, raised, and worked on this land for generations. We take pride in the quality and health of our stock and understand the hard work that goes into maintaining a legacy that spans centuries of generations. Green Valley Farm originated as two hobby farms between a father and son. 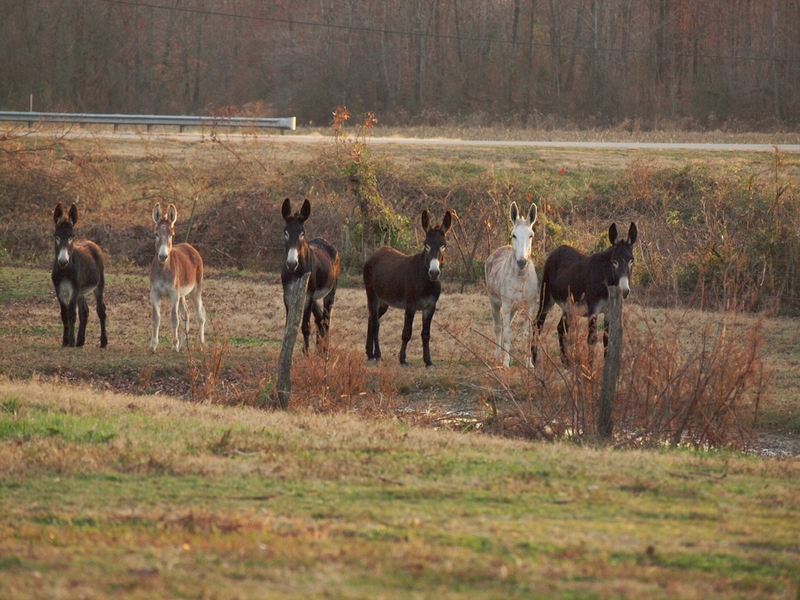 Lanehart and Hansford Huff grew up working many different types of horses and mules. Over time, a great love and respect for these animals and their rural heritage developed. It became very important to Lanehart and Hansford to continue their traditions and pass them on to younger generations. We currently do not have any stock for sale. Please check back soon for any updates! In the meantime, please check out our stock and feel free to contact us for any additional information. Copyright © 2018, Huff's Mammoth Jackstock and Draft Mules, All Rights Reserved.